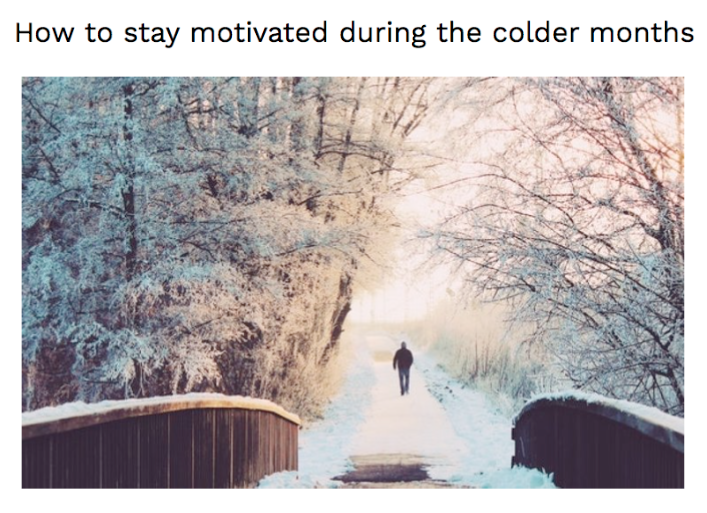 Thank you to Pro Health Fitness for featuring me on your website in an article about keeping motivated during the winter months. Click here to learn about how to stay active and energised during the upcoming cold months. Is Your Health Ready For the Drop in Temperature? 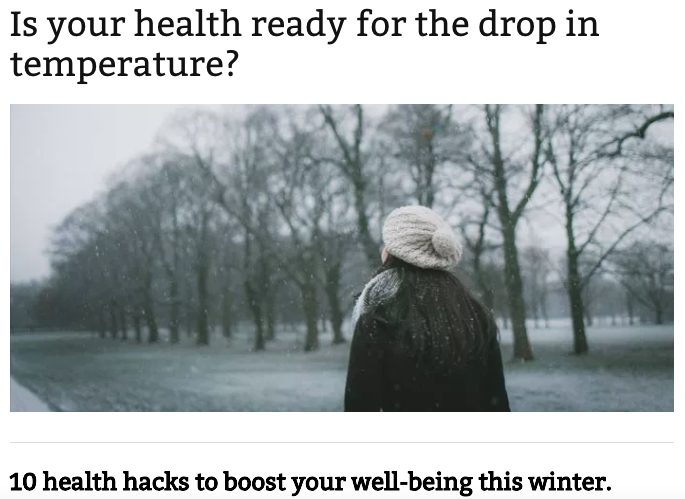 I am happy to share that some of my advice on keeping healthy in the winter months was recently featured in two articles on winter health and wellness in Iceni Magazine and Amor Magazine. Some of the tips include increasing your Vitamin D intake, arranging your space to encourage feelings of wellness, and many more. You can find the articles here and here.